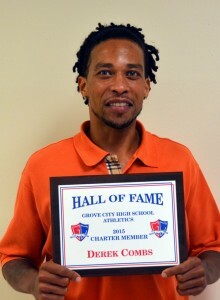 Derek Combs was an outstanding three sport athlete at GCHS competing in football, basketball and track. He was one of the leading scorers for the basketball team and his blazing speed made him one of the fastest sprinters in the OCC. It was his football prowess that earned him all-OCC, all-Central District and all-State recognition. He was the only Greyhound gridder ever to earn the title of “Mr. Football” in the state of Ohio (1996). Derek received a full scholarship to The Ohio State University where he starred as a running back and kick returner. He was drafted by the Oakland Raiders and played for both the Raiders and the Green Bay Packers during his NFL career. Ann Grossman attended Grove City High School only one year as a freshman, but during that time she re-wrote the record book for girls tennis. She was undefeated as a freshman in the rugged Ohio Capital Conference. She breezed through sectional and district tournament play and captured the 1985 state singles title without losing a set. Ann left GCHS after her freshman year to attend a residential tennis school in Florida to further hone her tennis skills. After completing her schooling, Ann competed on the Ladies Professional Tennis Tour for over a decade before retiring to become a tennis instructor in her own right. 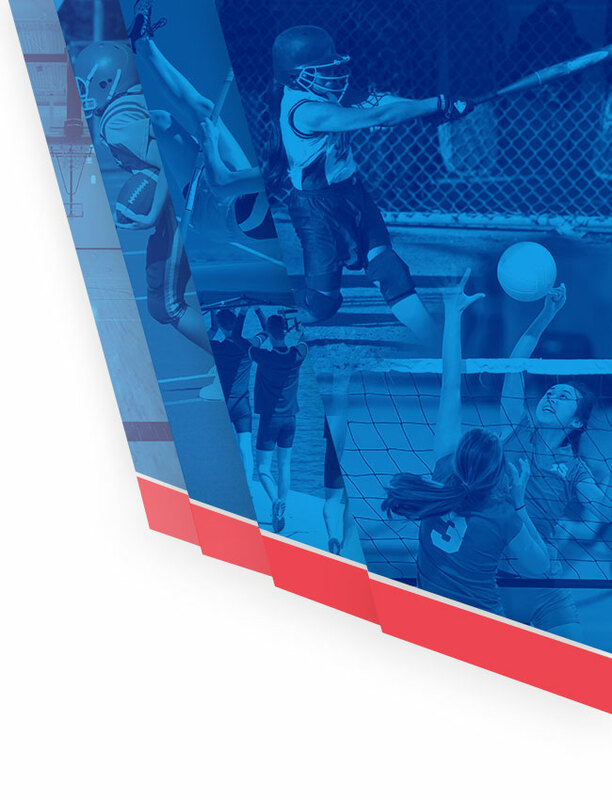 She has since served on the USTA Olympic and Federation Cup committees. Basketball standout Josh Helm was another school record-setter. He was a four year varsity player who set the school career scoring record,had the best field goal pct. in school history and was second in single season total points. Josh was Div. 1 Coaches Association Player of the Year, first team All-Ohio, was Central District Player of the Year, OCC Player of the Year and Honorable Mention All-American in USA Today. He received a full scholarship to play at Mercyhurst University and became one of that school’s all-time scorers and rebounders and was selected as that University’s Athlete of the Year in 2004. He played professionally in Iceland and the Netherlands where he served as team captain and was selected as a league All-Star and was the League MVP. 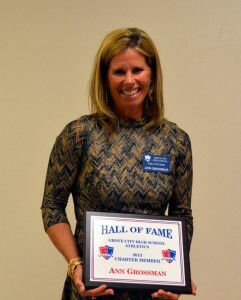 Kim McKeon was a four year varsity player in both basketball and softball at GCHS. While she earned all-Conference and Honorable Mention All-State honors in basketball, it was in softball that she excelled. Kim set the standards for pitching excellence and winning at GCHS. She was a three time all-OCC player including being selected as Conference Player of the year in 1983 and was also the unanimous choice for Central District Player of the Year. 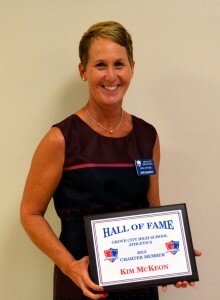 She pitched the Lady Greyhounds to the only team state championship in the history of the school as a junior in 1983 and led them back for a return trip in 1984 where they finished state runner-up. She was a two time all-state pitcher who hurled two no-hitters. She earned a scholarship to Indiana University and helped lead them to the 1986 Big Ten Championship and a 3rd place finish in the Women’s College World Series. She was second team All Region and Academic All Big Ten. She has served as an assistant softball coach at Bowling Green State University, Iowa State University, and Michigan State University. 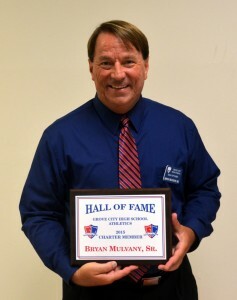 Named by his coach as the best high school soccer palyer he ever coached, Bryan Mulvany, Sr. had a stellar soccer career at GCHS. He played varsity soccer 4 years and helped GCHS make entry into the OCC as a new varsity sport. During his career, Bryan earned All-OCC honors and was selected both 1st team All-Ohio and 1st team All Mid-Ohio region. He helped lead Crove City to three district title games and three OCC championships contests. He set several school records including most goals in a season(36), most goals in a game(6) and two hat tricks in a game( both OCC records). He was also selected as the Best Offensive Player twice. Bryan returned to his Alma Mater to volunteer as an assistant soccer coach and is the proud father of the current GCHS Boys Soccer Coach, Bryan Mulvany, Jr., Kevin, Brandon, and Molly. He serves today as Executive Director, Data and Information Management for SWCS. Nathan Poole was a 4 year varsity player in both basketball and football. He started at the point for basketball as a freshman and did likewise as a quarterback for the football team starting as a sophomore. He was selected as first team All-State football and was the Central District Player of the Year and the Agonis Back of the Year in 1999. He was three times All-OCC and a started in both the All-Ohio North/South Game and Ohio/ Pennsylvania Big 33 game. He was a finalist for the “Mr. Football” Award(1999). He passed for over 5,000 career yards including 2350 yards and 29 TD’s his senior year to lead Grove City to an undefeated regular season record and #1 state rank, #8 nationally. 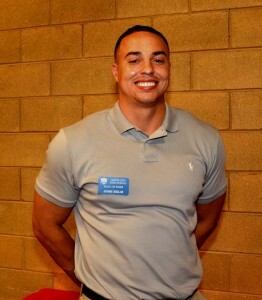 He was three times All-OCC in basketball and served as captain for both football and basketball. He accepted a football scholarship to Brown University where he was a four year varsity letter winner. 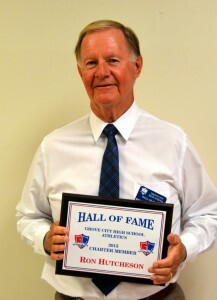 One of the finest baseball players in the history of GCHS, Larry Thomas played both varsity baseball and varsity basketball for three years as a starter. He won All-League honors three times in both sports and also won All-State recognition in baseball as a senior. He led his baseball team in hitting his Jr. and Sr. years and led the basketball team in scoring all three years. Larry attended Ohio University to play baseball and earned All-American honors for the Bobcats. He was elected into the Ohio University Athletics Hall of Fame. He was frafted by the Boston Red Sox and played, coached and/or scouted for them for 33 years. Larry remains active in Grove City baseball circles as a former American Legion coach, as a baseball clinician and currently serves on the Board of Directors of the Field of Dreams. A three sport athlete. Greg Waits played football, basketball, and baseball and distinguished himself in all three sports. He was a three year starter in baseball and started two years each in football(as qyarterback) and basketball( as point guard). He served as captain in each of the three sports. While he competed with a fierce tenacity in all three sports, it was baseball where he excelled the most. He was selected All-League, All-Central District and All-State in baseball. He carried a .435 batting average. He attended Voldosta State College in Valdosta, Ga. to play baseball and returned to his Alma Mater to teach and coach. Today he serves as Head Boys Basketball Coach and has earned five Coach of the Year Honors and led the Greyhounds to five OCC Championships and one Central District title and 3 runners up. He is also an assistant football coach. 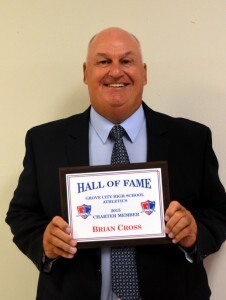 Brian Cross is the winningest football coach in Grove City High School history. He amassed a 114-55 won/lost record at the school with an overall record of 223-130. His teams won 13 league titles and made 12 OHSAA playoff appearances. 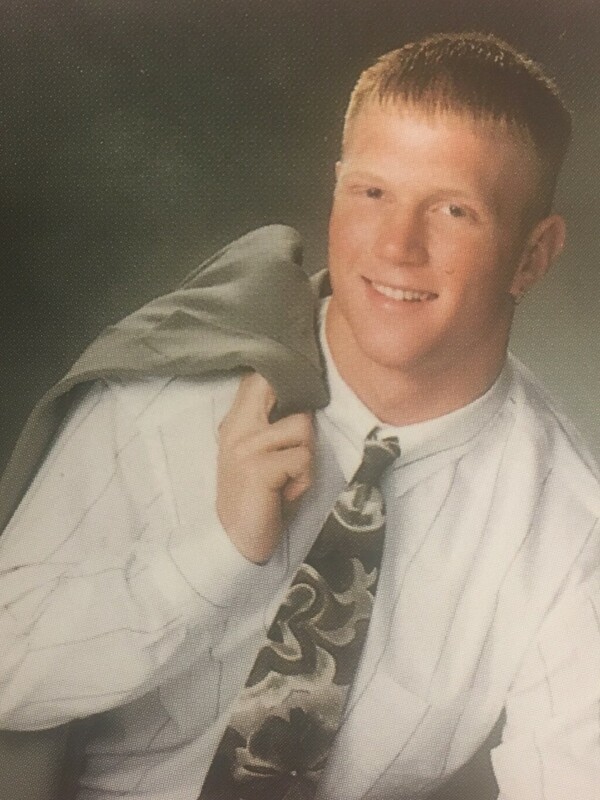 His undefeated 1999 Grove City team was ranked #1 in the state and #8 nationally. Coach Cross introduced the acronym DAWGS to Grove City football: Defense Always Wins Games. 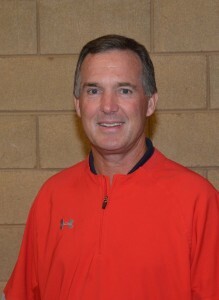 Brian was selected as the State Coach of the Year twice while at Grove City and overall five times during his career. He was selected as Head coach of both South All-Stars and the North All-Stars in the All-Ohio seriese. He also coached in the Big 33 Ohio/ Pennsylvania All Star game and was twice head coach of the Central Ohio All Star game and was twice head coach of the Central Ohio All Star game and once as head coach of the Stark County All Star Game. His coaching career has taken him to stops at Pymatuning Valley H.S., Olentangy Orange H.S. and now to Bishop Ready H.S. Elmer Houdashelt served as head baseball coach at GCHS for 14 years. During his tenure, he had winning seasons every year and accumulated 10 league championships(school record) and 2 District Titles. His overall record of 249-84 represents the highest winning percentage in program history, .748 pct. 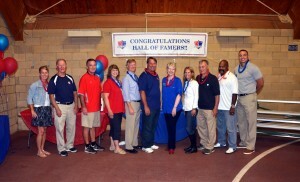 Coach Houdashelt’s 1970 team not only won the league and district titles, but they also amassed a season record of 26-1. Recently, the City of Grove City named one of the baseball diamonds at Windsor Park Elmer Houdashelt Field in honor of his coaching legend who saw his teams excel there. After coaching for more than a decade, Coach houdashelt retired to become Assistant Principle at GCHS. The only Grove City coach of a state champion team, Ron Hutcheson stands as one of the most outstanding fast pitch softball coaches in Ohio History. His teams won 7 OCC Championships, 8 Central District Titles, 4 Regional Championships, 2 State Runners-up and one State Title(1983). His teams had a winning percentage of .764. In addition to coaching softball, Coach Hutcheson served several years as an assistant football coach and boys gymnastics coach. 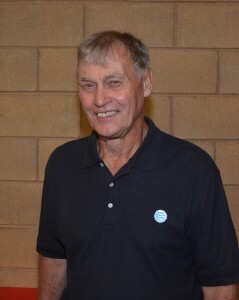 Since his retirement from coaching, Ron has served as Athletic Supervisor for the school. 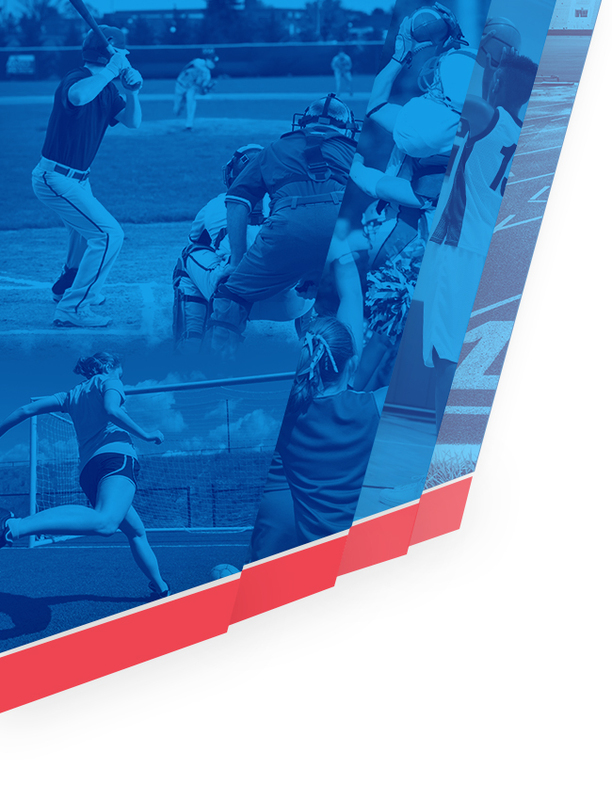 In honor of his coaching excellence, the school has named the softball complex, Ron Hutcheson Field. His fellow coaches saw fit to induct him into the Ohio Fast Pitch Hall of Fame in 1994. 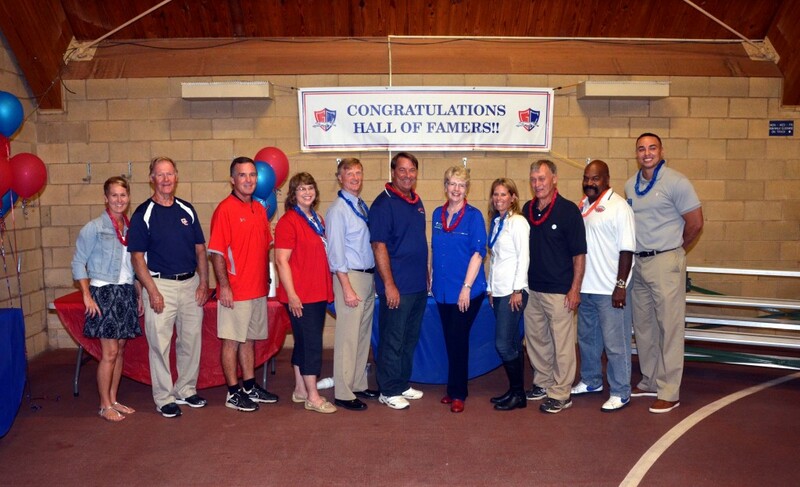 In 2013 he was inducted into the Ohio Capital Conference Hall of Fame. 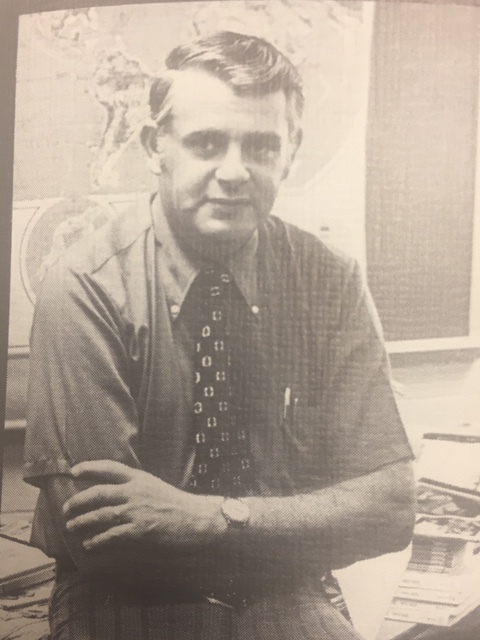 Herb Russell was head basketball coach at Grove City H.S. for 18 years, after stints at Stoutsville and Washington C.H. High Schools. His basketball team won 345 and lost only 119 for a 74.4 winning pct. His Grove City teams won 10 league titles to go along with 3 at Washington C.H. He had four seasons with 20 or more wins and twice(61-61 and 69-70) went undefeated in the regular season. His teams won five sectional titles and one(1964) district title. He was on the OHSBCA Board of Directors for 5 years. He was elected Coach of the Year in the Central District twice, in the SCOL once, and in the Mid-Eight League(GCHS) eight times. He won the Paul Walker Award in 1977 and was inducted into the Washington C.H. Hall of Fame in 1989. 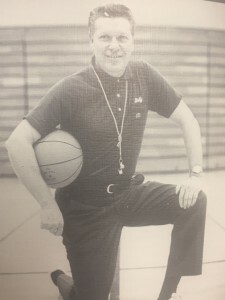 He was inducted into the Ohio High School Basketball Hall of Fame in 1991. In addition to coaching basketball, Coach Russell coached golf at GCHS for 12 years and even officiated basketball for 10. At Stoutsville and Washington C.H. he was also head baseball coach with a winning pct. of 76%. He assisted Coach Fred Taylor at OSU with the basketball program and Coach Marty Karow at OSU with baseball. Sadly, Coach Russell passed away several years ago and is not with us this evening. However, his daughter Bev Stewart is here to represent him.